You may be surprised to know that even indoor air can be polluted, sometimes more so than outdoor air. And because many people who have COPD or other chronic health conditions spend a great deal of time indoors, improving indoor air quality is especially important. To help you improve the quality of your indoor air, here are 11 steps designed for those with COPD or other chronic illnesses. Irritants include substances that irritate your respiratory system without necessarily invoking an immune response. Common sources of irritants include paint (also wood finishes and stains), pesticides, tobacco smoke (including secondhand smoke), chemicals in cleaning products or smells from new furniture. Dangerous Chemicals Although less common, dangerous chemicals can have a far greater impact on your health. Included as dangerous chemicals are carbon monoxide and radon, both which are highly poisonous and should be immediately eliminated if detected in your home. Now that you have identified the sources of your indoor air pollution, follow the remaining steps to help manage them. Many healthcare providers are extremely knowledgeable about issues surrounding air pollution, both indoor and out. And who better to help you create a plan to manage indoor air pollution than a doctor who knows you well. 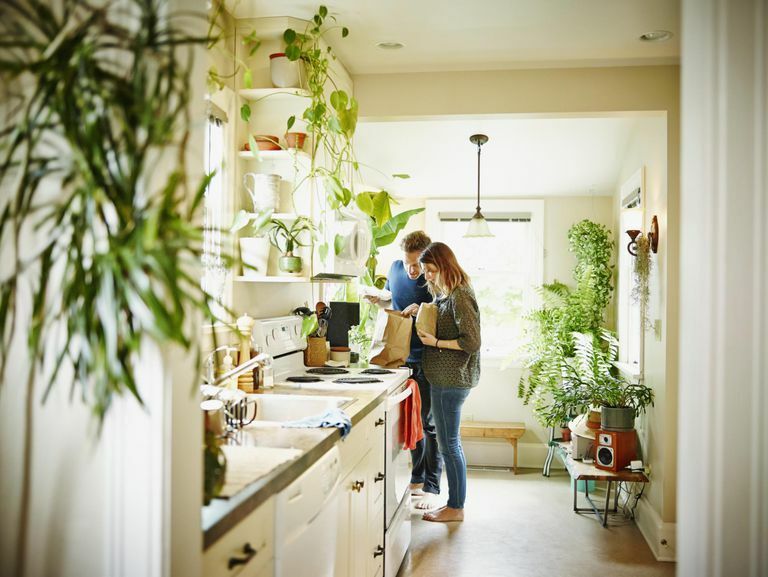 According to the Environmental Protection Agency (EPA), one of the most important ways that you can reduce the build-up of indoor air pollution is to properly ventilate your home. This can be done by opening windows, using exhaust fans that send their exhaust outside of the home, using window fans or running window air conditioners. Exhaust fans also benefit your home by minimizing moisture. Tobacco smoke is an irritant and breathing secondhand smoke is extremely hazardous to your health. To improve your indoor air quality, don't allow anyone to smoke inside of your home. If you have always wanted hard-surface or wood flooring but could never justify the cost, knowing that hard-surface flooring is easier to maintain in an allergen-free state than carpet, may be just the excuse you've been looking for. Carpets are far less sanitary than hard-surface flooring, so if you choose to keep them, make sure you vacuum regularly. 7. What About an Air Filtration System? Filtering your indoor air by way of a central system for the entire home is the single, most efficient way to improve your indoor air quality. If a central system is not an option, you may consider a single room air purifier. Remember, though, a single room purifier is just that; it purifies the air in only one room. Because air moves about your home freely, air from a non-filtered room can easily make its way to a filtered room, defeating the purpose of your mission. With whichever system you choose, make sure it has a HEPA filter and beware of systems that generate ozone but claim to filter the air. A radioactive gas that can cause lung cancer, radon is colorless and odorless, so detecting it is impossible without testing for it. The EPA recommends a do-it-yourself testing kit that can assess radon levels in your home. Did you know that certain products can actually help you maintain healthy air quality within your home? The Asthma and Allergy Foundation of America has developed a certification program designed to help you identify which products these are. Houseplants have an amazing ability to take you back to nature in the comfort of your own home. But did you know they also remove significant amounts of harmful toxicants from the air, such as carbon dioxide, benzene, formaldehyde, and ammonia? Scientists say that by using one houseplant for every 100 square feet of space in your home, you'll be on the way to cleaner indoor air. The final step in our management plan for improving indoor air quality requires that you become aware of the different types of products in your home that contain harsh chemicals. These include paints, varnishes, wax, and cleaning or cosmetic supplies. According to the EPA, everyday household items such as these contain dangerous chemicals that can cause harm to your lungs if inhaled. If you must purchase these types of products, do so in limited quantities. Also, don't keep partially used containers of unnecessary products laying around your home as they can emit chemicals that are bad for your lungs. COPD Digest. Volume 4, No. 2. 2008.